You’re not the only one facing this wardrobe challenge. 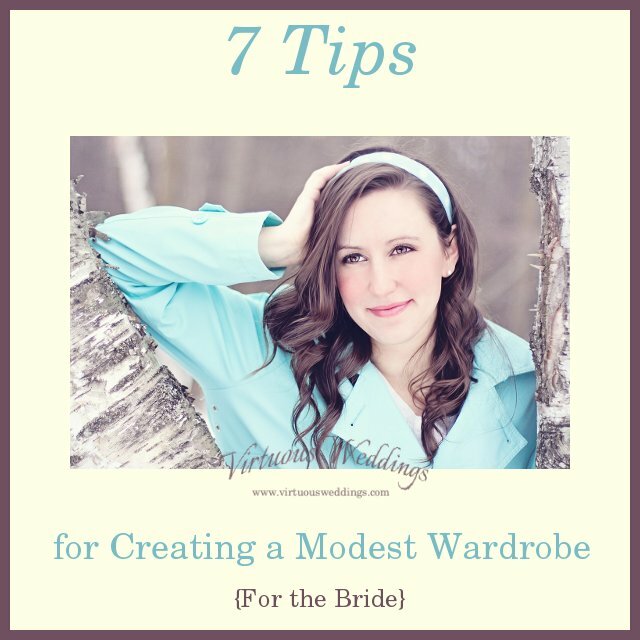 Here are seven tips to help you create your modest wardrobe. 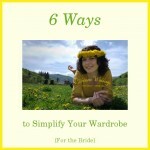 You can’t create a modest wardrobe until you know what you’re aiming for! What do you think is and isn’t modest? Modest according to the 1913 Webster’s dictionary. Modest according to the 1828 Webster’s dictionary. Modesty and modest dress aren’t the same thing. Modesty is the underlying character trait that makes us want to dress modestly. Let’s not forget what it actually means. And as for modest dress–the subject of this post–you need some definition before you can ever hope to conform to it. That’s kind of . . . obvious. But maybe not always! Test them out. What do you think of them on you and you in them? Try on your own clothes. Try out clothing in stores to help refine your goals. Try on clothes before you buy them to make sure they measure up. When you’re trying them on, wear them as you would wear them in real life. For example, if you ever expect to raise your arms above your head while wearing the garment, raise them above your head while trying it on. Don’t rely merely own your own insight, especially if you really just don’t know. The perspective of others is valuable. Even if you don’t agree with them, the opinions of others will help you develop your own. Get at least some feedback from men and older women. Take all feedback seriously even if it seems weird. It might be—but then again, you might be the one with the strange ideas! Don’t add to it at random, purchasing on whims or because you “need something now!” Plan ahead. You may need a lot of time to find what you need so plan to take it. Know what you need and why you need it long before it’s an emergency. What is your style? Relaxed? Feminine? Classic? Casual? Tailored? Knowing your own style is an important key to creating a wardrobe that works and that you will love. If you want a modest wardrobe, then define your modest style. Develop a personal style that is you and that is naturally modest. 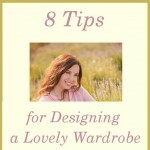 Personal style help: Style Makeover HQ, a style quiz , another style quiz, Inside Out Style Blog. I’m sure there are other style quizzes out there too–these are just the ones I’ve encountered. These sites are not focused on modest style but can help you define your style. These will serve as guidelines for what you will and won’t wear. This will make it easier to shop because you have decided ahead of time what you will do. That’s all these rules are, really. Just pre-made decisions. You can refine them at any time. Some of them might change with your circumstances—like the climate where you live. Others won’t. But either way, don’t feel restricted by these rules. They’re meant to be liberating. They’re meant to help narrow down your choices based on your principles, your values, and your tastes. Some stores and websites just don’t offer modest clothing. There might be a rare find or two, but don’t waste your time shopping there. Choose sources that will provide what you need. Here’s a list of places to buy ready-to-wear and made-to-order modest clothing. Do you have any more tips to share? I’d love to hear them!